With just 11 days until the curtain is drawn on “UFC 117: Silva vs. Sonnen,” Thiago Silva has been forced pull out of his light heavyweight scrap against Tim Boetsch due to an undisclosed injury. MMAWeekly.com confirmed the Brazilian’s health status with sources close to the situation on Tuesday. The 205-pounders were scheduled to meet during the non-televised portion of the August 7th pay-per-view broadcast. There is no word on whether Octagon brass will find another foe for Boetsch or pull him from the card entirely. 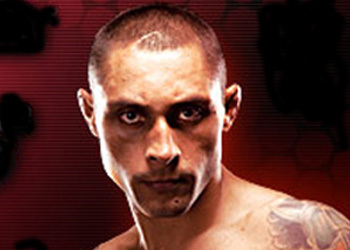 Silva owns an impressive 14-2 professional record and has posted a devastating finish in all but one of his victories. He was last seen dropping a unanimous decision to Rashad Evans at UFC 108 this past January. While the nature of his injury was not revealed, the American Top Team fighter has previously worked through back issues. Boetsch holds a respectable 11-3 mark and was making his Octagon return after losing a convincing decision to Jason Brilz at UFC 96 back in March 2009. “The Barbarian” has rattled off three consecutive wins since his exit. MMAScraps Radio is reporting that UFC newcomer Todd “Bulldog” Brown has been tapped as Silva’s replacement. Todd Brown makes his UFC debut with an impressive 11-1 record overall. He was last seen posting a win over Rodney Sleepers this past November.